This is 5 Questions. Each week, we send five questions to an artist featured in Under the Radar, our weekly email highlighting the best art on the ArtSlant network. This week we seek answers from Jody Christopherson. Human beings are more than just one thing. 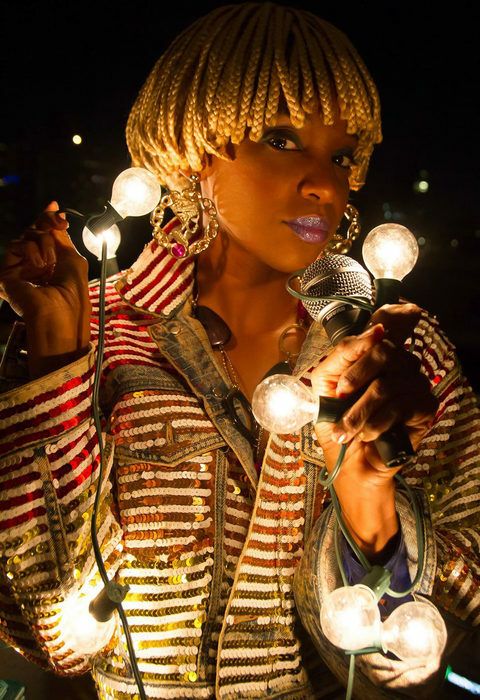 I’m a multidisciplinary artist: I write, perform, create music and visual art at a professional level. I don’t call that “extra,” I call that agency. The biggest lie artists (and women) are often told is that we need to ask permission to expand, that we should be afraid of being too much. We have to expand. We are telling stories, that until recently, have never been told. I find it exciting to explore multiple forms in order to fully express that. To always challenge our own, and our audience’s, limitations. I love this question. I ask myself this every time I begin a new project, and then try to find ways to make the impossible, possible. 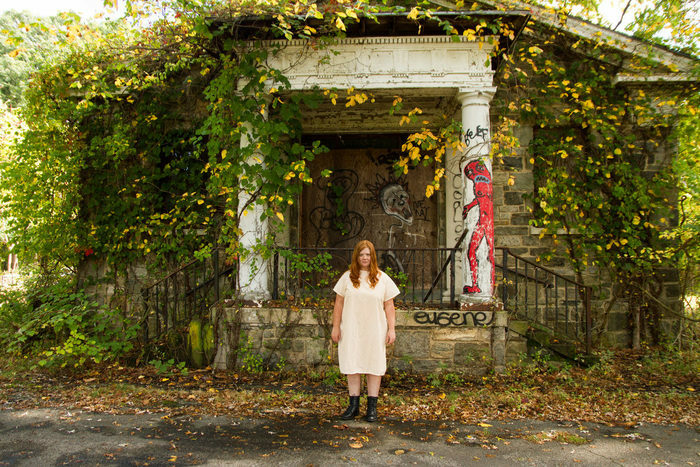 AMP, a solo horror play that explodes the Frankenstein creation myth through a feminist lens, exploring the “monsters that society creates.” It’s a theater performance with films we shot guerilla-style at abandoned asylums. AMP was rehearsed over Facetime across two time zones, while Isaac was in his second year of grad school in Texas. It has 500 lighting, sound, projection and haze cues in 60 minutes. 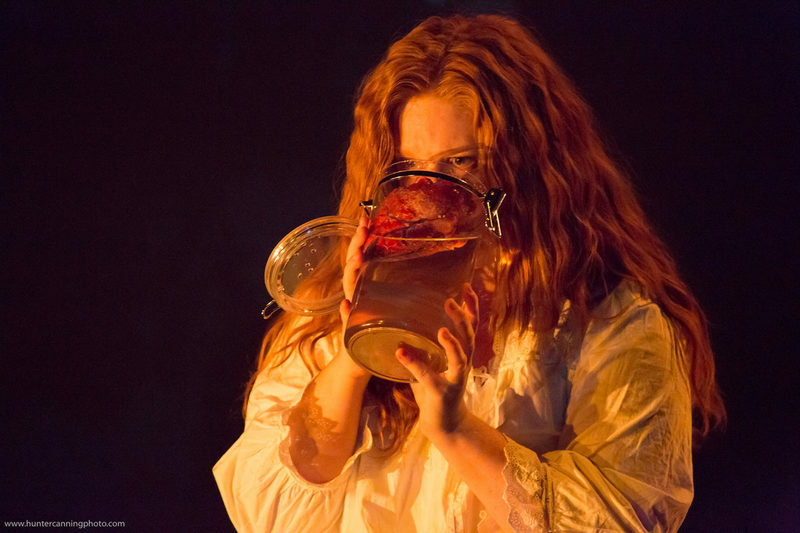 Among other things, the props for the production consist of jars of drinkable formaldehyde that contain food-grade sculptures of human organs I created with advice from The Compleat Sculptor. And it all fits in a suitcase to tour. St Kilda, a solo Scottish/American monoconcert about a woman traveling alone, which I perform completely solo and travel with alone (also fits in a suitcase). The protagonist is a working class woman from Nebraska (like me), who travels to an abandoned island off the coast of Scotland after the death of her grandmother and unearths a powerful family secret. It speaks to the place we are at in history, the need to rise up, because no one else is really going to do it for us. I’ve learned to load in, tech solo, as well as perform and live mix foley instruments (thanks to Andy Evan Cohen) with an 8-channel board, a looper, distortion pedals as well as operate my own lights onstage. There are times in the show I’m performing over seven layers of sound loops I create with either vocalizations or foley instruments. 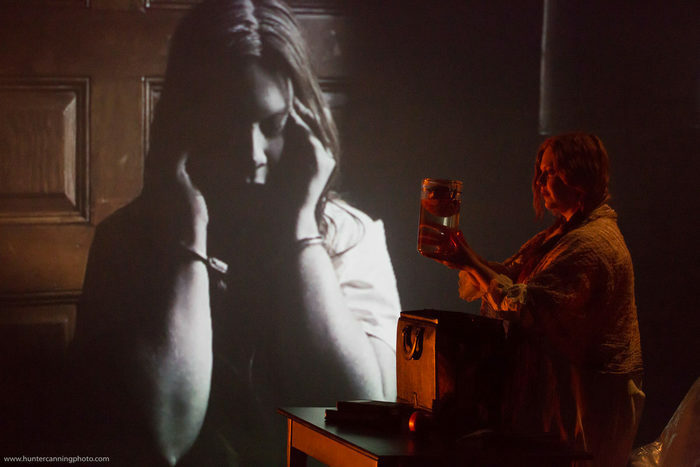 St Kilda will be touring to Minneapolis’ Southern Theater in Horrorfest, Oct 26–Nov 3.